May 17 was a big day for Krakow, as the Krakow Post re-launched its famed Beer of the Month event in association with the fine fellows at BeerPubs.pl. Gathering at local beer-lovers’ Mecca, House of Beer, our elite beer-tasting team joined Krakow Post readers and BeerPubs,pl members, to try a range of the best in new and established products from Poland’s growing host of craft breweries. This being the first episode in the Beer of the Month reboot, things were a touch ‘experimental’ as we cheerfully muddled through figuring out how to gather sensible opinions from 30 people who had spent the entire evening drinking. Three beers were on the tasting roster: Sweet Cow, from the AleBrowar brewery, Atak Chmielu, from Browar Pinta, and Ox Bile, from Minibrowar Haust. All three were provided on tap by the good people at House of Beer, and all attendees got a 10 percent discount on any beer for the whole evening – we’ll definitely be back. Is that a beer mermaid? Are beer mermaids a thing? The contending beers were carefully selected to represent three broadly spread points along the glittering rainbow of Polish craft brews – or maybe we just got lucky. 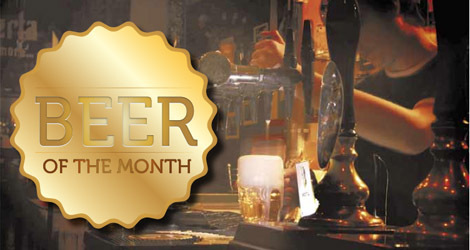 The presence of Atak Chmielu in the contest must have been intimidating for the other, newer, beers in contention, given that it was named Krakow Post’s Beer of the Year back in 2011. Sweet Cow is relatively well established but Ox Bile is a new kid on the block. Each of these miracles of the brewers’ art come from the more innovative among Poland’s mini-breweries, all of which share the characteristic of choosing off-the-wall names for their products. Browar Pinta, for example, also produces beers called Angielskie Śniadanie (English Breakfast) and Koniec Świata (End of the World), while AleBrowar bottles Naked Mummy and Rowing Jack. On the subject of quirky labelling, ‘Ox Bile’ has to be the most alarming name for a beer I have come across. Having said that, the first taste makes it very clear where the idea came from. 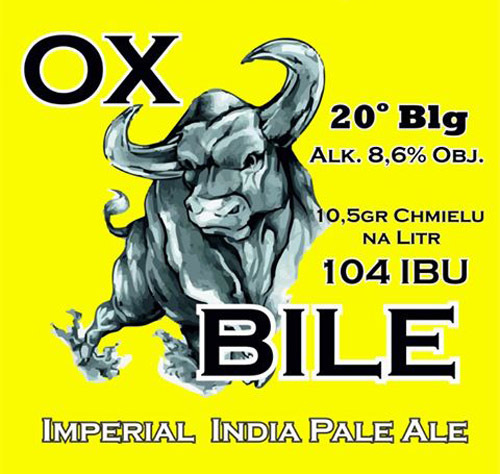 Ox Bile is officially the bitterest beer available in Poland. On the international bitterness scale (yes, that is a real thing), which ranges from 1 to 100, Ox Bile registered as 104. No doubt this sounds like a terrible idea, but it isn’t. There is no doubt that Ox Bile won’t be to everyone’s taste, but the brew’s extremely rich and complex flavour is big enough to contain the hyper-hop explosion. Sweet Cow also proved to be an interesting one. 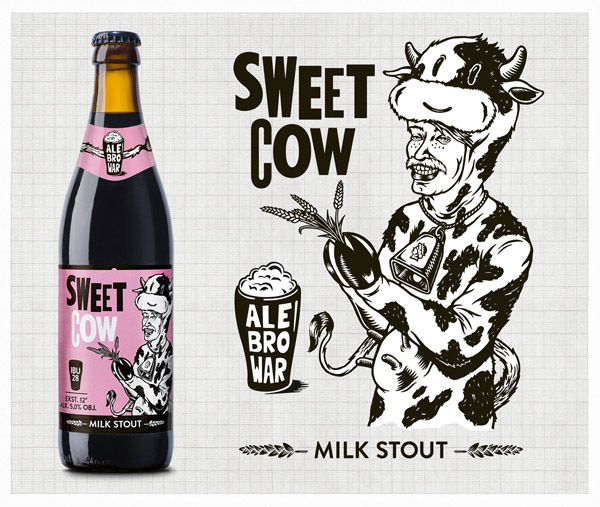 It’s a stout with a difference, boasting a bucket-load of ‘milk sugar’ that produces an unusually sweet and smooth taste. It reminded me very much of a Caribbean oddity I used to enjoy at my local Jamaican restaurant back in London – Guinness with condensed milk. For me, Atak Chmielu was always going to be the star of the evening. It ranks number two on my personal list of favourite Polish beers, just behind fellow Browar Pinta offering, Angielskie Śniadanie. Flavoursome, perfumed and satisfying, it’s the perfect session beer for any occasion. Judging from the scores, I was not alone in this opinion.